Thomann-Hanry® have cleaned and restored numerous prestigious buildings over the years, but none more so than the one known affectionately as the ‘Old Lady of Threadneedle Street’ – the Bank of England. Taking just 25 days, the Thomann-Hanry® exceptionally skilled team cleaned the whole of the 13,000m2 exterior of the iconic building of the Bank of England. As customer service is extremely important to Thomann-Hanry®, the team worked on weekends only to ensure the project was quick and efficient, thereby minimising disruption. 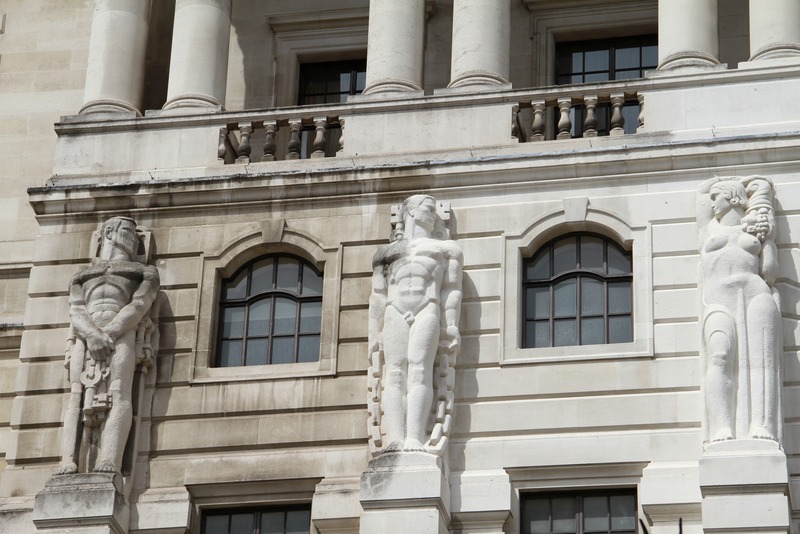 The Portland stone was cleaned by façade gommage® and any damaged stone replaced by masons from the Thomann-Hanry®’s Restoration team. Sections of leadwork were also repaired. Works took place during weekends across Threadneedle Street, Prince’s Street, Lothbury and Bartholomew Lane, negotiated around austerity protests, the filming of the James Bond movie ‘Spectre’ and hectic city life. Disruption was kept to a minimum throughout the project. Thomann-Hanry® have since conducted further internal works for the Bank of England. The Thomann-Hanry® interior stonework division – Specialist Stone Care – restored and cleaned the Terrazzo walls within the archive room that had been locked away, undiscovered for over half a century.